Melissa Halliburton was on her way to her friend’s wedding with her dog, Rocco. She had searched all over for a hotel near the event that allowed dogs and could only find one an hour away. Then, on her way to the wedding, her car broke down. She managed to convince the tow truck driver to take her and Rocco right to the wedding. They made it just in time, but the whole ordeal inspired Halliburton to help people who wanted to travel with their pets. That’s when she created BringFido.com. She wasn’t the only person looking for a way to travel with beloved animals because the website took off very quickly. It expanded to include pet-friendly hotels, campgrounds, bed and breakfasts, restaurants, beaches, dog parks, and events. The site features more than 100,000 destinations in 14,000 cities, and Halliburton hopes to double that in a year. Now the site is being updated to include a more mobile-friendly version, and there is even a call center to help customers get the information they need to travel with their fur babies. It’s a great option for those of us who want to see the world and don’t want to leave our pups behind. 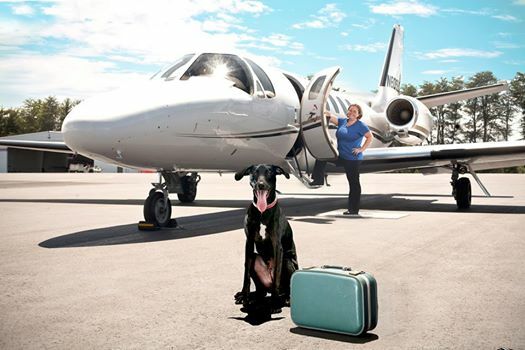 Would you like traveling with your dog to be easier? Do you find it difficult to leave your dog behind when you go on a trip? Let us know in the comments below! JFK The Most Pet Friendly Airport In America? The post Awesome Website Helps You Plan Pet-Friendly Trips And Vacations appeared first on Dogtime.